Currently student of the Oficial Master in Automatic and Robotics at the Polytechnic University of Madrid. She joined the Automatic and Robotics Center in 2014. She worked as university teaching at the Salesian Polytechnic University of Ecuador, in areas of Technology and Sciences in the careers of Systems Engineering, Electronic Engineering and Civil Engineering. Ocupied a management and administrative positions as Robotic´s Club Director. 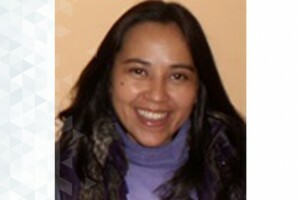 She received her engineering degree in Systems Engineer with emphasis in Robotics and Artificial Intelligence from Salesian Polytechnic University of Ecuador, with the thesis topic : Design and construction of a cartesian robot for handling and identification of geometric shapes through optical media using neural networks. Evolution of cognitive rehabilitation after stroke from traditional techniques to smart and personalized home-based information and communication technology systems: Literature review.